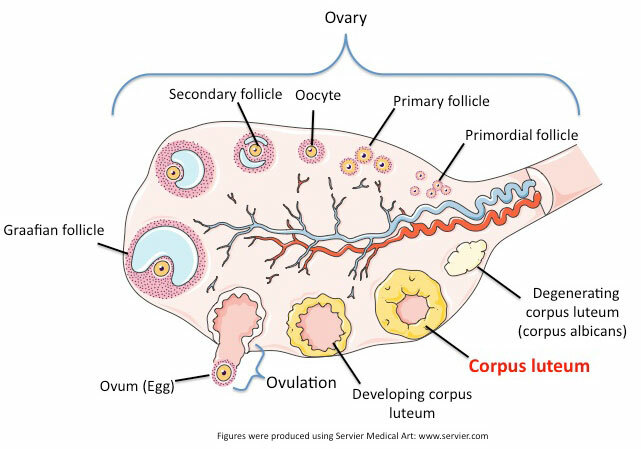 The corpus luteum (Latin for "yellow body") is a hormone-secreting gland that forms after a mature egg is released from an ovarian follicle. It is composed of granulosa- and theca-lutein cells and primarily secretes the steroid hormone, progesterone. If the egg is not fertilized, the corpus luteum will degenerate and form the corpus albicans.